MacVector 11.1 has hundreds of small enhancements and bug fixes designed to increase stability and improve workflows and the user experience. A more complete list of changes is present in the MacVector 11.1.1 Release Notes. You might also want to read our blog article discussing the new release. Many of the analysis functions now use drop down window-modal sheets rather than application modal dialogs, allowing you to continue to work with other windows to prepare, view or copy data required for the analysis. Many of the sheets have a convenient new history combo box that keeps track of the various data files or target folders used in the dialog to allow rapid switching between commonly used files. 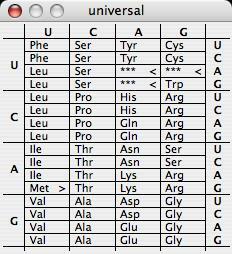 Multiple levels of Undo have been added to the Trace, Multiple Sequence Alignment and Contig/Align to Reference editors. All three have also had extensive work to streamline workflows, add keyboard navigation and fix various display glitches and crash bugs. 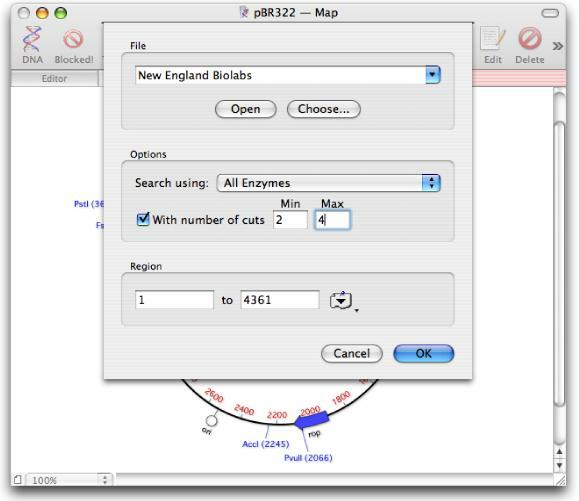 Dialogs to locate auxiliary data files (Restriction Enzymes, Matrices, Codon Bias tables etc) now all default to the appropriate location in the MacVector distribution folder. Align to Folder, Restriction Enzyme, Proteolytic Enzyme, Nucleic Acid Subsequence, Protein Subsequence, Translation and Reverse Translation are now all window modal dialog sheets. You can now drag a selection from one sequence window and drop it into another single sequence window or into an external application (e.g. TextEdit or Microsoft Word) that can accept drag and drop text.You can also drag selected text out of a result window and drop it into other acceptor windows e.g. Microsoft Word or Text Edit (OS X 10.5 and above only). - You can now select any graphical object (e.g. a feature) and Edit | Copy will copy a blunt ended copy of the underlying sequence to the clipboard. - The Ligation dialog now treats sequences copied from external sources or the sequence editor as blunt-ended fragments. - Protein Analysis Toolbox – the AA Composition, pI and MW protocol now also displays the predicted extinction coefficients and aliphatic index. In addition, the pI and molecular weight calculations have been revised for increased accuracy. - NA/AA Subsequence – the graphical Map result window is now linked back to the parent sequence so that selections in the result window are propagated to the parent editor. - The Subsequence editor has been reworked as a dropdown dialog sheet and you can now copy/paste into the Sequence edit box. These changes let you easily paste primers from external applications or from other MacVector windows into a subsequence file to maintain a database of useful primers. - There is a new “Show Dots” button that can optionally be added to the MSA editor toolbar (right-click on the toolbar and choose Customize Toolbar… to add the button). This represents matching residues in an alignment with dots rather than the residue itself. - Align to Folder – now scans hierarchical sub-folders as well as the selected folder. - There is a new Genetic Code reference window accessed from the Window | Genetic Code Key menu item that displays the codons of the currently selected genetic code for quick reference. - The Feature tab has a new context sensitive (right-click) menu item that lets you join two or more selected features of the same type. - The Feature tab context menu now lists all /db_xref and /protein_id qualifiers – selecting one will open the appropriate database source in the default web browser. - The labels “Create” and “Remove” are now used consistently throughout MacVector for all buttons that add/create or delete/remove features. This avoids conflicts with labels for buttons that add and remove sequences from an alignment. - Vector NTI .ma4 and .pa4 files can now be imported into MacVector. - If you have Growl installed on your machine, the Job Manager will use Growl notifications when a job has completed rather than bounce the icon in the dock. - There are now keyboard shortcuts to switch between tabs – hold down the apple command key and type “1” to switch to the first tab, “2” for the second tab etc. - “Dirty” windows now display a dot in the red window close button. - Text windows and tabs now support standard keyboard and mouse selections. MacVector 11.1.1 is available now!. Click here to sign up to download a fully functional 21-day trial.